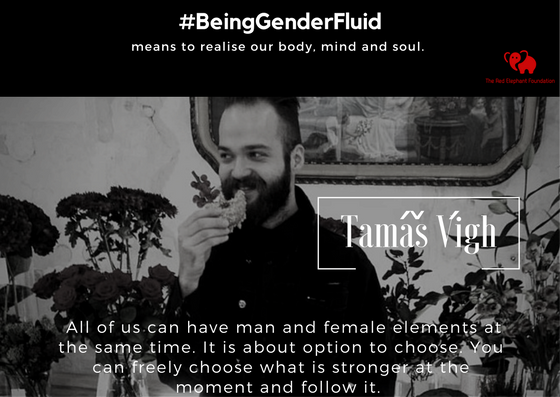 Our campaign for IWD 2017 is all about looking at gender as fluid, dynamic and an ever evolving aspect of one's identity. 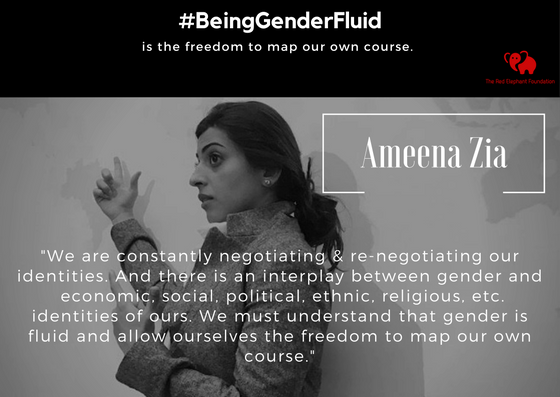 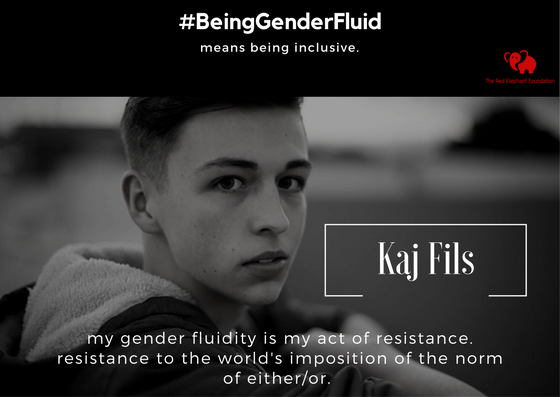 Recognizing fluidity of gender can help us evolve beyond creating strict and rigid gender roles and enforcing them through gender stereotypes. 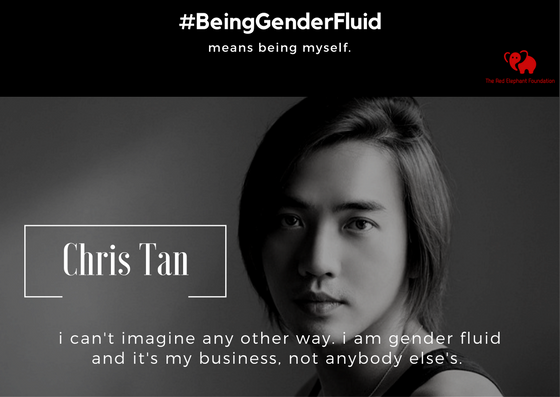 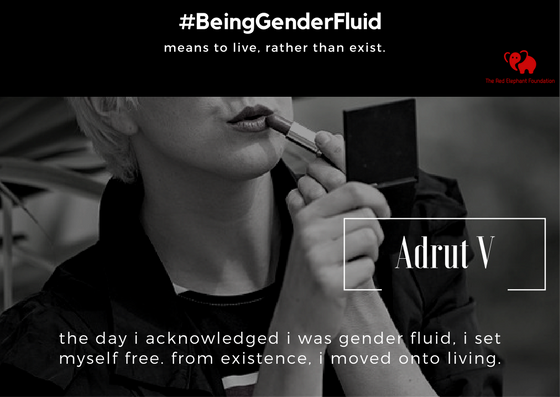 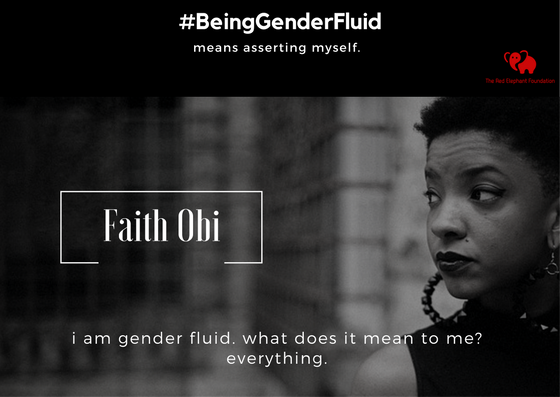 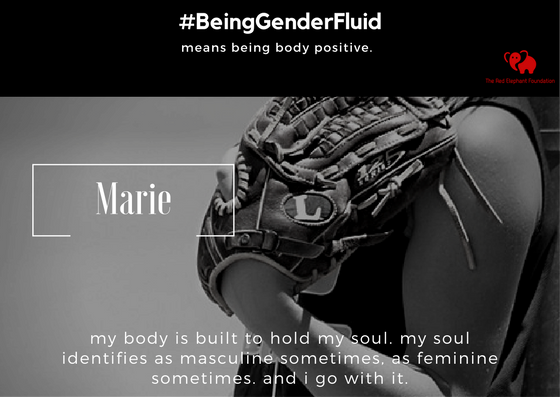 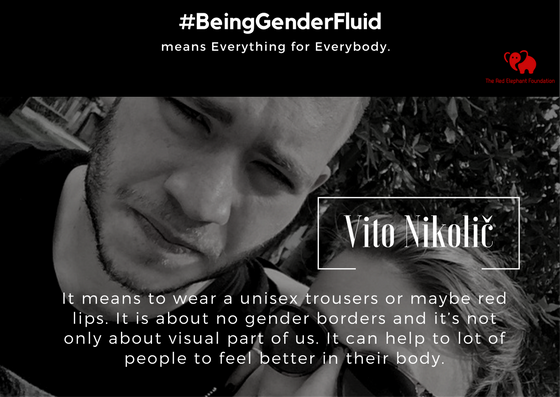 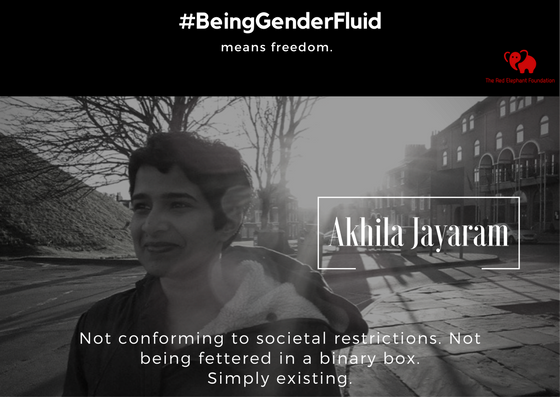 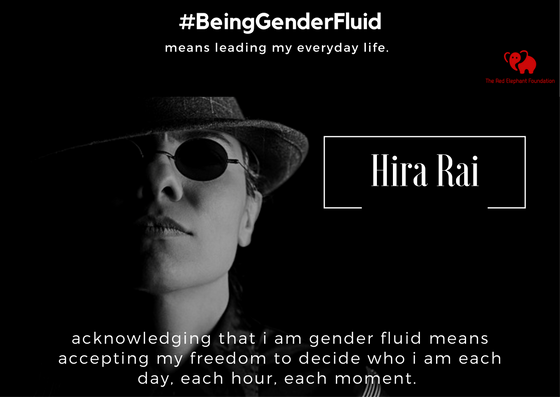 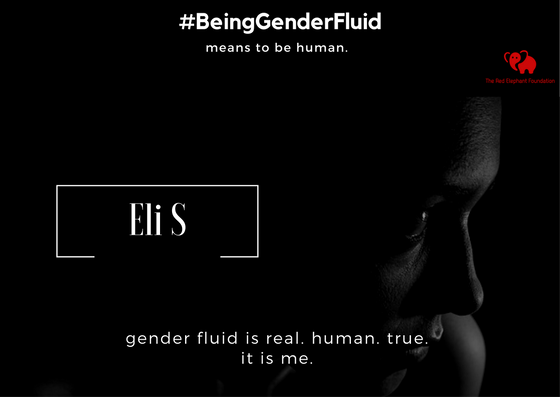 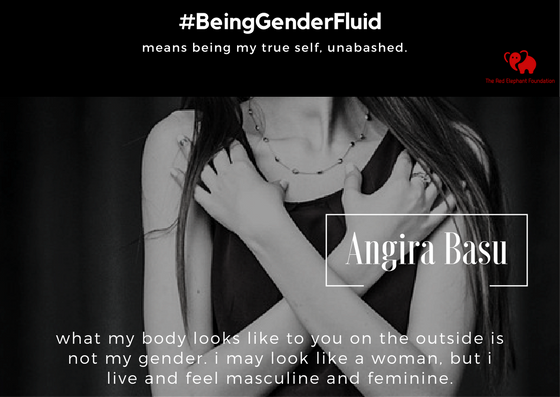 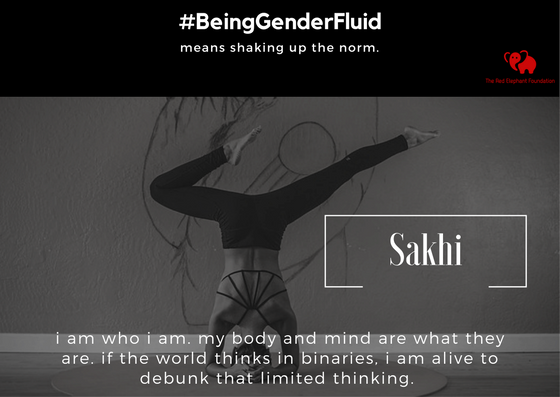 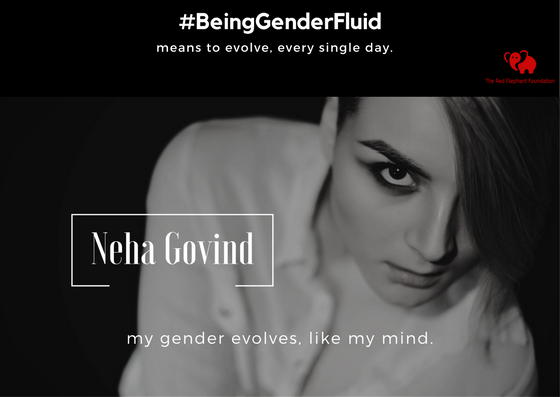 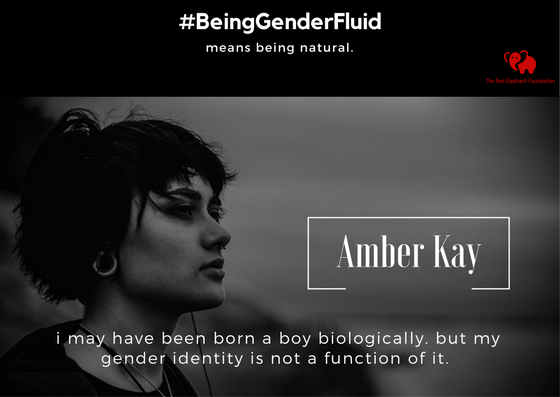 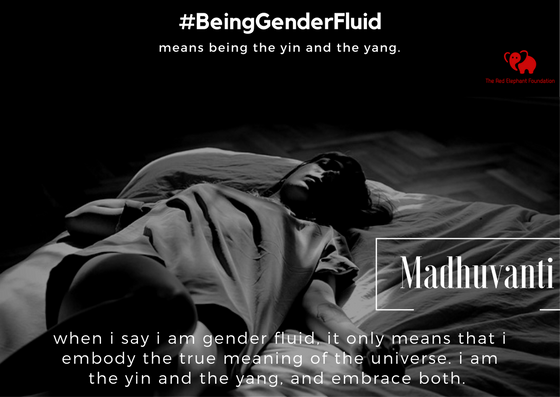 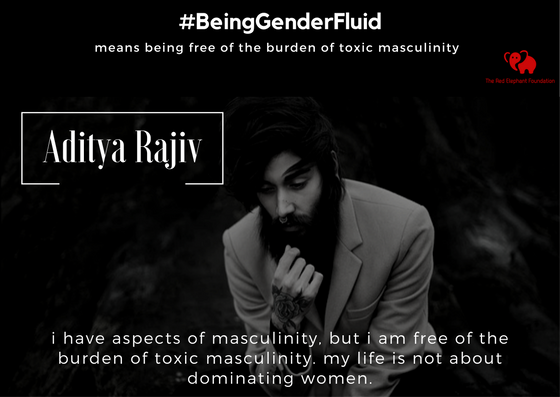 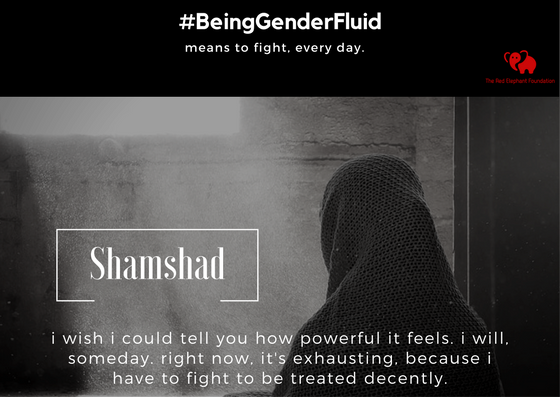 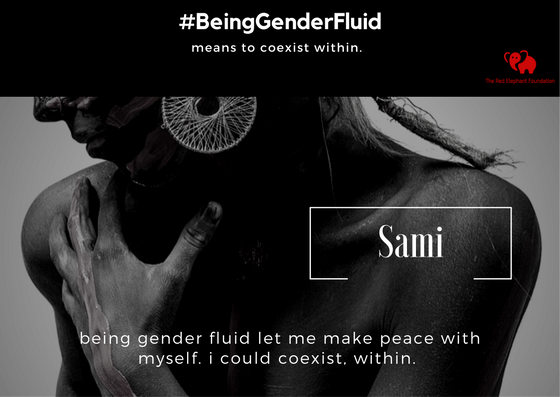 In this campaign, entries from world over tell us about what being gender fluid means to each one who shared their views. 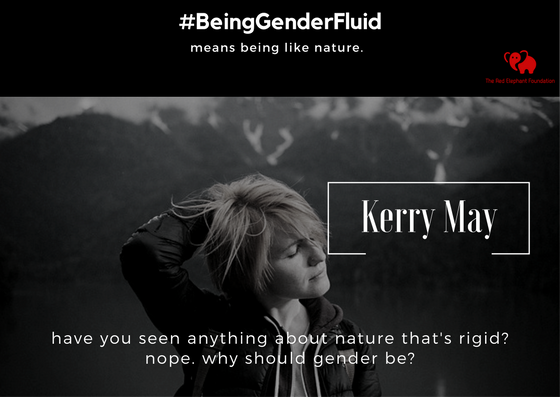 In some, we've used indicative imagery to preserve the anonymity of some submissions. 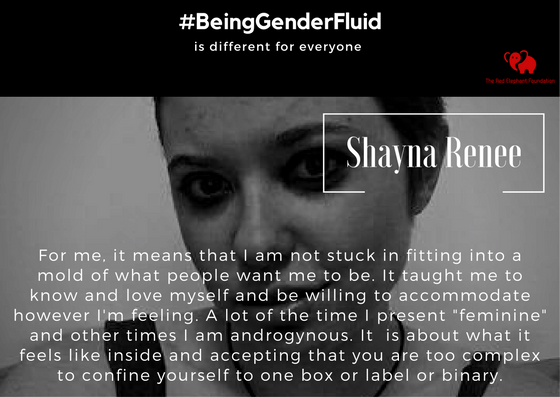 If you identify as gender fluid and would like to contribute, please mail us on info@redelephantfoundation.org.